Screw connections in which both the screw and nut, as well as the clamping parts, are made of stainless steel materials are prone to so-called galling or seizing. Böllhoff’s Antiseize coating is an effective way of preventing galling. The reason why rustproof steels are resistant to corrosion is because their surface is coated with a very thin (2-5 nm) chromium oxide film. Due to potential differences in electrochemical activity, processed stainless steel is usually passivated. With Antiseize, the specific passivation is re-treated with a tailored non-electrolytic colloidal suspension, which produces a thin dry fluoropolymer-based lubricant. This means that the part can be assembled without the thread seizing. The Antiseize coating minimises potential follow-up costs of a stainless steel threaded connection. The pre-coating is dry and non-slip. The colour is off-white and the coating thickness is between 5 and 20 µm. The temperature range is between -180°C and 260°C. Friction is also set to 0.12 – 0.18 µtot. 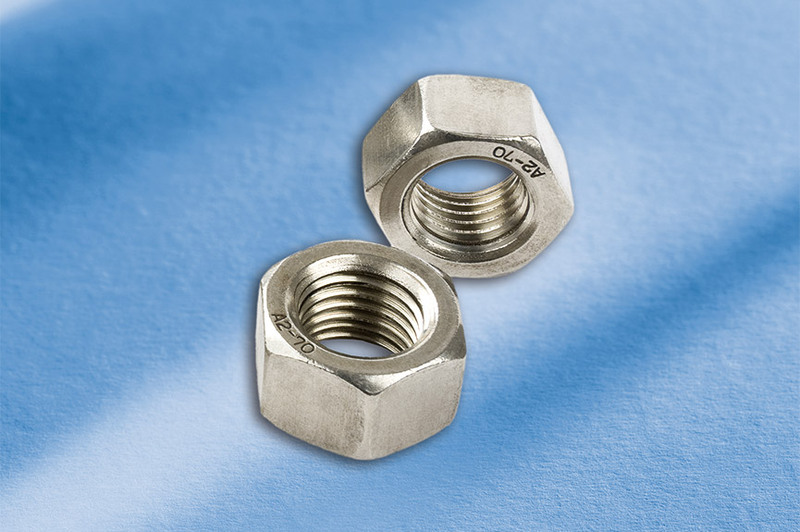 Currently DIN 934 nuts and DIN 985 self-locking nuts in A2 with the Antiseize coating according to B 53090 are available as standard from Böllhoff. To achieve optimal joint design, the necessary tests can be carried out at Böllhoff’s accredited test laboratory.